Due to the surge in cryptocurrency prices, not only hackers but also legitimate websites and mobile apps are increasingly using cryptocurrency miners to monetize by levying the CPU power of your PC and phones to mine cryptocurrencies. However, Apple wants to protect your Mac and iPhone battery from shady cryptocurrency mining apps, and therefore, the company has put restrictions on such apps by disallowing them in its official App Store. The company has updated the Hardware Compatibility section of its App Store guidelines, which now explicitly restrict iOS and Mac apps and ads from mining cryptocurrency in the background. "Apps, including any third party advertisements displayed with them, may not run unrelated background processes, such as cryptocurrency mining," the updated guidelines read. The update reportedly occurred last week, possibly in response to popular Mac app Calendar 2 that bundled a Monero (XMR) miner in with its premium upgrade that unlocked 'advanced' paid features of the scheduling app. Cryptocurrency mining is not a new concept, but the technology has recently been abused in the past years after hackers found it a great way to make millions of dollars by hijacking computers to secretly perform cryptocurrency mining in the background without users' knowledge or consent. Due to this cryptocurrency mining has emerged as one of the biggest threats, raising negative sentiments towards this alternative revenue scheme. 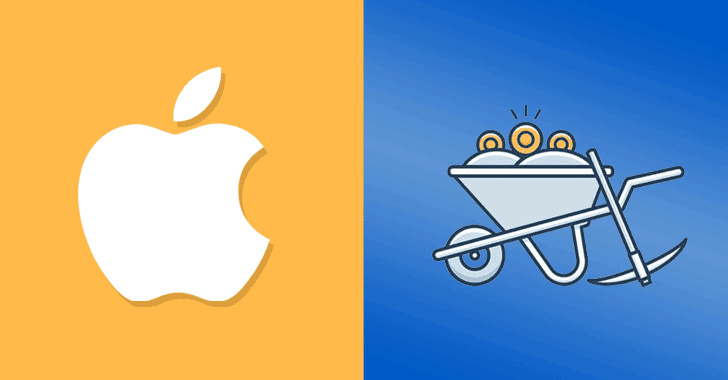 However, it seems like Apple guidelines ban any on-device mining that eventually ends up draining Apple devices' batteries by using the device processing power to mine cryptocurrency. "Apps should not rapidly drain battery, generate excessive heat, or put unnecessary strain on device resources," the guidelines states. However, as long as the mining process is performed somewhere other than the device, such as a remote server or a cloud provider, Apple doesn't have any problem. Wallet apps for cryptocurrency are also fine if the developer is enrolled as an organization, as of apps that facilitate transactions or transmissions of cryptocurrencies, since these apps are offered by the exchanges. In addition, Apple guidelines also state that cryptocurrency apps "may not offer currency for completing tasks, such as downloading other apps, encouraging other users to download, posting to social networks." Apple is not the first one to ban direct mining. Last month, Google also banned cryptocurrency mining extensions from its Chrome Web store to prevent cryptojacking by extensions that maliciously mine digital currencies without users' awareness. In late March, Twitter also announced its plan to block cryptocurrency-related ads on its platform, and in January, Facebook banned all ads promoting cryptocurrencies, including Bitcoin and initial coin offerings (ICOs).